North Iowa will make nation wide news again on February 18, 2017 as CBS Sunday Morning prepares to film the festival live accroding to Larry and Kay Day who are the organizers of the annual festival. 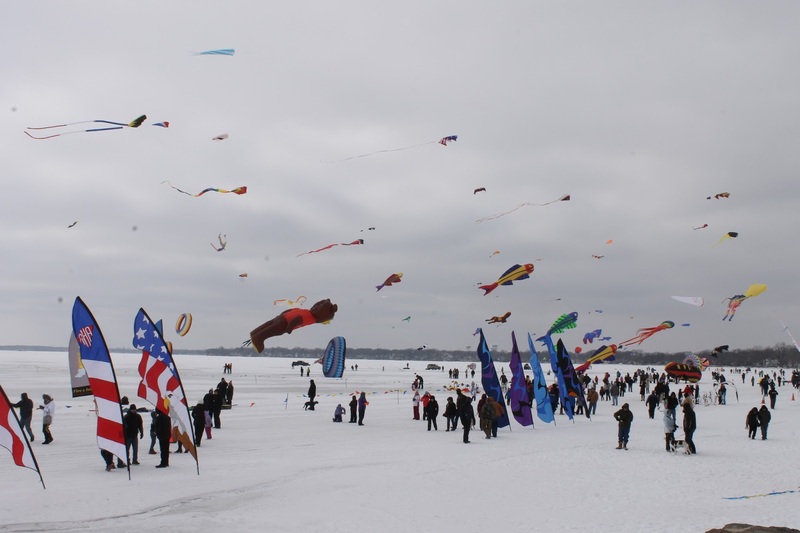 The crew plans to be in Clear Lake for the entire weekend so plan to see a camera crew wandering around on the ice to capture the great kite festival, which is the Midwest’s largest winter kite festival. The festival will run from 11 am to 4 pm on the 18th at the Downtown Seawall in Clear Lake, ice conditions look favorable for the event with 17-19 inches on the lake currently. Kite flyers from various states travel to Clear Lake annually to display their collection of unique kites and banners with some even having stunt kite teams with two or more lines choreographed dances to music. Come out and enjoy the FREE show where you can purchase hot food and beverages from the lunch wagon. Beautiful Midwest Plants For Your North Iowa Garden! Find The Best North Iowa Realtor With These Questions! Egg-citing Easter Events in North Iowa! April Is Best Time To List Your North Iowa Home! © 2019 Mason City MLS. All rights reserved. IDX information is provided exclusively for consumers' personal, non-commercial use and may not be used for any purpose other than to identify prospective properties consumers may be interested in purchasing. Information is deemed reliable but is not guaranteed accurate by the MLS or Jane Fischer & Associates. Data last updated: 2019-04-18T07:59:29.577. © 2019 North Central Iowa MLS. All rights reserved. IDX information is provided exclusively for consumers' personal, non-commercial use and may not be used for any purpose other than to identify prospective properties consumers may be interested in purchasing. Information is deemed reliable but is not guaranteed accurate by the MLS or Jane Fischer & Associates. Data last updated: 2019-04-18T07:54:07.89.